A wedding cocktail hour serves as a prelude to the reception. It’s a great way to keep guests entertained while waiting for the bridal party to arrive (and other guests to show). Held in a small reception area or outdoors, guests are invited to indulge in refreshing beverages, light entertainment, and, of course, food. As choosing a menu for a cocktail hour can be a daunting task, here’s a list of food stations to inspire you. For couples with a sport or laid-back wedding theme might appreciate these stations. 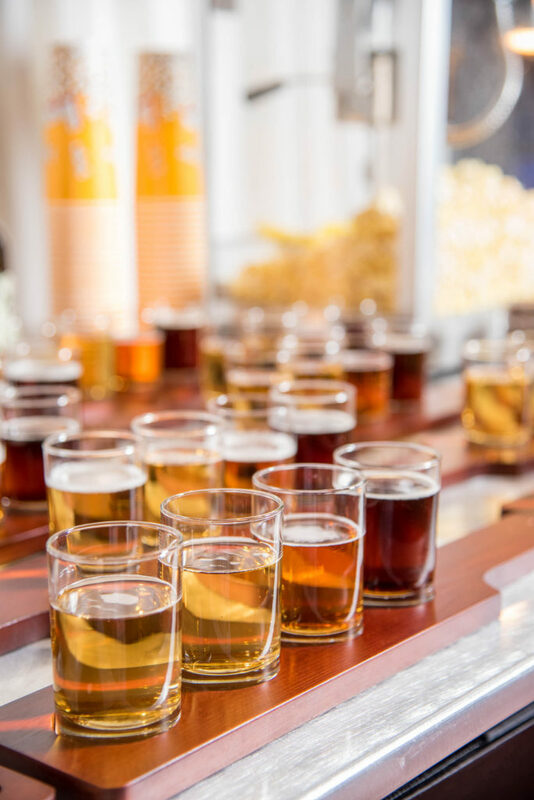 Your guests will get a chance to taste four different brews of beer during your cocktail hour. 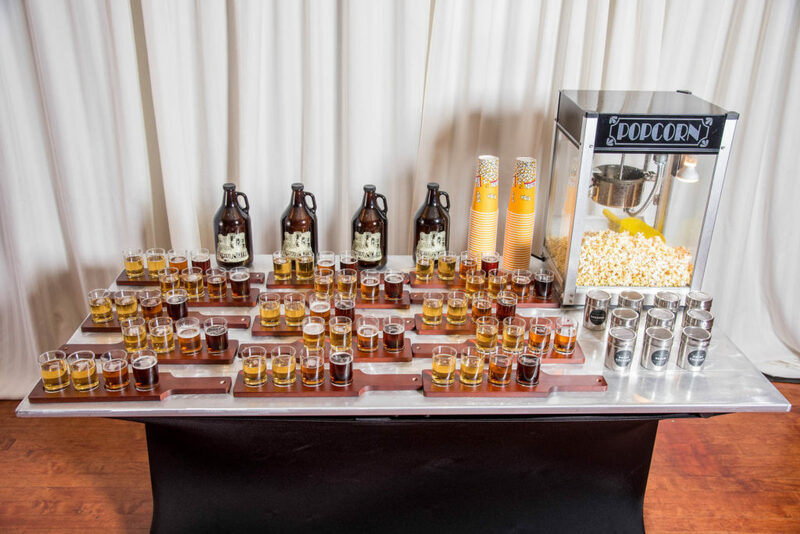 What better to go with a nice, ice-cold beer than some gourmet popcorn? Try it in a variety of flavors including nacho cheddar, white cheddar, buffalo wing, caramel, butter, and more. 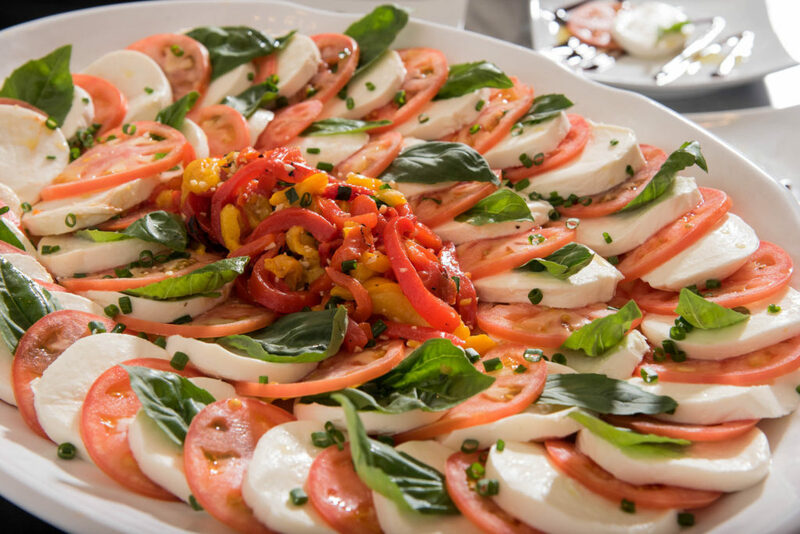 If you’re a lover of cheese or Italian foods you can’t go wrong with the Fresh Mozzarella Bar during cocktail hour. 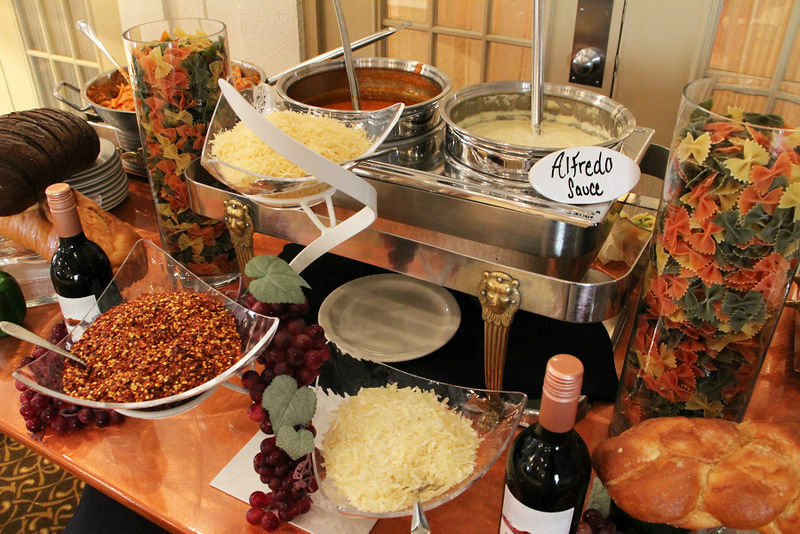 Guests can eat their cheese plain, or pair it with other fresh ingredients like prosciutto, basil, sundried tomatoes, pesto sauce, roasted red peppers, and other station items. Unless you’re watching your carbs just about everyone loves pasta! 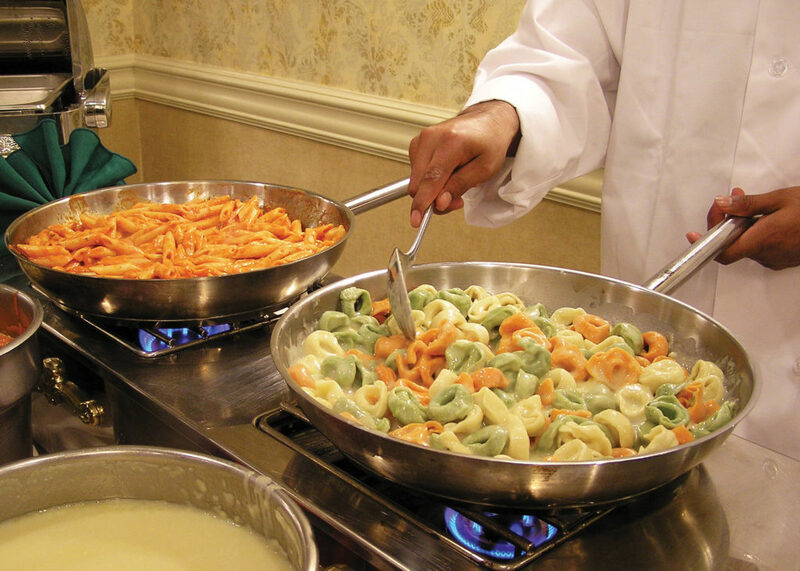 This means you can’t go wrong with the Pasta Station at your wedding cocktail hour. You get to select from pasta choices like penne, rigatoni, and tri-colored farfalle as well as sauces like alfredo, marinara, vodka sauce and more. 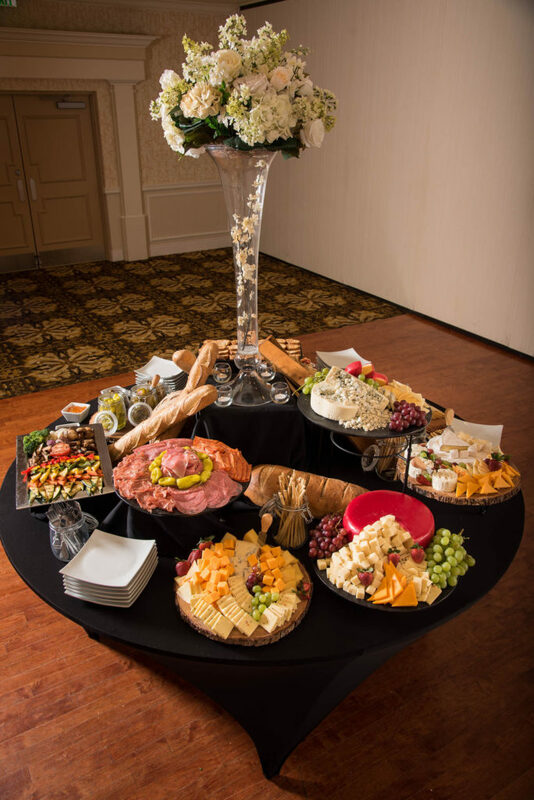 From gourmet cheeses to Italian lunch meats, the Tuscany Table is a huge hit for cocktail hours. 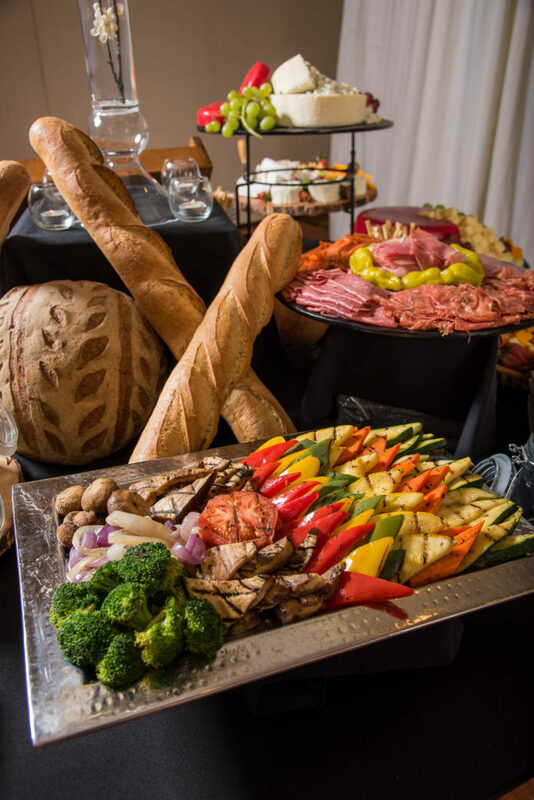 Guests can have their pick of artisan bread, fresh cheeses, lunch meat, fresh fruit, along with a few condiments like olive oil, herbal butter, and others. Cocktail hour is supposed to be a mixer of sorts where friends and families from both sides can come together. You can help make that time special by coordinating with our wedding specialists to choose the best signature cocktails, drinks, and food stations for your guests to enjoy. 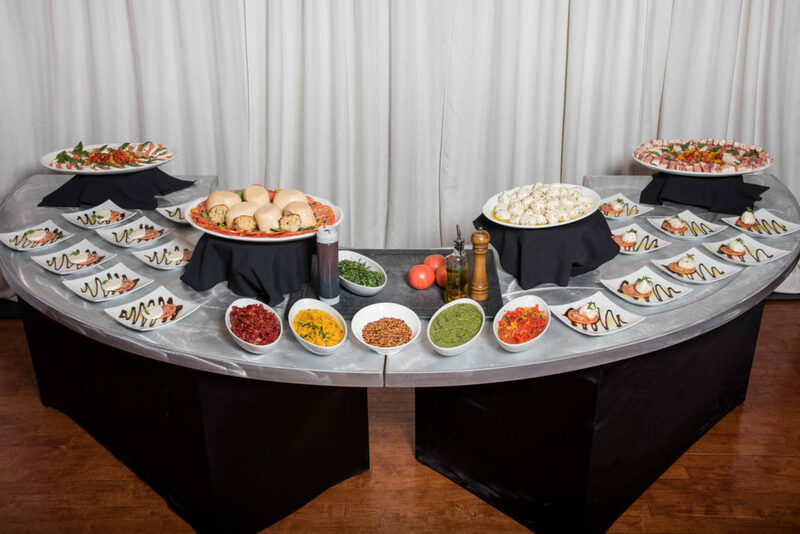 Though we have plenty of other food station options for you to choose from, hopefully, this has given you some ideas for your own cocktail hour.